Last month Professor Randall Basaraba at Colorado State University Fort Collins revealed that his research team have developed a new drug cocktail combining conventional antibiotics and nontoxic compounds that mimic those compound found in sea sponges to fight the most intractable cases of tuberculosis. A grant of $1.8 million from the National Institutes of Health has been given to Professor Basaraba to help him continue the research. He is directing the study in collaboration with other scientists in the Colorado State University Mycobacteria Research laboratories and with research partner Christian Melander from North Carolina State University. Professor Basaraba and Melander began collaborating in research when they discovered that their research groups were working on the same puzzle, which study in bacteria that cluster together, forming communities that protect them from antibiotics. Basaraba and Melander have been working together to develop a new laboratory model, which allows bacteria to form communities as they do in human and animal hosts. The new laboratory model permits researchers to show that not all Mycobacterium Tuberculosis are equally susceptible to antibiotics. Basaraba concludes that while the individual bacteria are susceptible to conventional TB drugs, the slower metabolism of the grouped bacteria enable them to survive high does of antibiotics. Professor Melandar has also been working for several years to discover compounds that break up bacterial communities. Professor Melandar discovered an artificial compound that modified from a clean sea sponge and used it to create a new class of compounds capable of dispersing communities of bacteria. The new class of compounds, together with the new laboratory model, enabled Basaraba and Melander to create a novel approach fundamentally different from other TB treatments. The goal of the research is to increase the effectiveness of existing antimicrobial drugs by reducing disease relapse, and to prevent the continued emergence of multidrug-resistant Mycobacterium tuberculosis strains. Professor Basaraba’s groundbreaking research indicates the insight of researchers and the excellence of research projects at Colorado State University Fort Collins. The university is on a course to becoming one of country's premier life science research institution. About $35 million research funding has been given to Colorado State University Fort Collins from the National Institutes of Health to continue its research programs each year. By April 2014, over 30 projects of more than $7 million have been awarded from the NIH to Colorado State University. 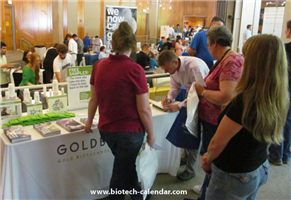 Biotechnology Calendar, Inc. has been producing the BioResearch Product Faire™ Event at Colorado State University to help laboratory supply companies to meet face-to-face with researchers and laboratory managers for more than ten years. There are two BioResearch Product Faire™ Event available at Colorado State University: one is at Fort Collins Foothill Campus on June 16th 2014, another one is at Fort Collins on June 17th 2014. Last year more than 250 research professionals participated in these two BioResearch Product Faire™ Event at Colorado State University. Of these attendees, 27% were professors, purchasing agents and post docs, 14% were lab managers and the rest were active hands on research. If you are a laboratory supply company and would like to participate in the Colorado BioResearch Product Faire™ Event so that you can help Colorado researchers work more efficiently, you are invited to join us at the upcoming event. 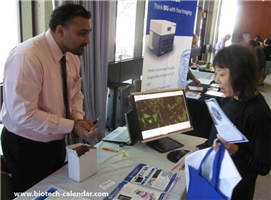 Biotechnology Calendar, Inc. is organizing more BioResearch Product Faire™ events at different institutions throughout the nation. If you would like to participate in upcoming events, please read our National Show Schedule for 2014.